T. Jefferson Parker has won three Edgar Awards from the Mystery Writers of America and is the author of twenty-three novels and numerous short stories. 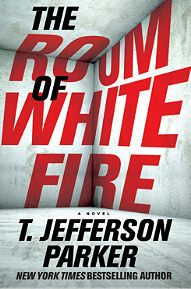 A New York Times bestselling author, his latest book is The Room of White Fire. Stay Thirsty Magazine invited him to participate in our One Hundred Words project by writing one hundred words about topics we suggested. T. JEFFERSON PARKER: Makes me think of Aristotle, “arousing pity and fear,” as a goal of tragedy. Can’t help it -- I was an English major. Fear sells, though. I was also a reporter for a while, so I know that. If it bleeds it leads, Jeff. Cover that murder. Fear smells like formaldehyde. 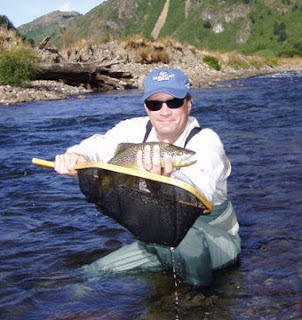 I’ve only been truly afraid a few times in my waking life: taking off on big waves, being attacked by Africanized killer bees, almost being hit by a tour bus on a tiny dirt road in the Chilean Andes. I’m often afraid in my dreams. My wife saves me. T. JEFFERSON PARKER: No small-bore topics here! Love is the ladder we climb upon. It’s what gets us higher. More durable than passion, more reliable than desire, more graceful than need. Love is at the center of all my stories. Every novel I’ve written deals with love beginning, love growing, love declining, love sometimes eternal and love sometimes fading away. Of all the emotions, I think it’s the one we miss most when we don’t have it. Paul’s letter to the Corinthians describes it beautifully. Love lets us do all the beautiful things we do. It lets us tell stories and sing songs. STAY THIRSTY: Life and death. T. JEFFERSON PARKER: Good stories let those two things compete. Hemingway’s “Every true story ends in death?” Yeah, okay. It does seem to me that the greater the stakes, the greater the rewards, so if death is what awaits a character who fails the test, fails to see and act properly, then you’ve written a story that is going to get someone’s attention. When the innocent die, you’ve opened a whole other can of worms. This won’t apply to comedy, which I suppose is exactly why it exists in the first place. Sometimes you can’t watch The Seventh Seal, so you watch Bananas. STAY THIRSTY: Race against the clock. T. JEFFERSON PARKER: I’ve written cop stories, and stories about ATF agents and FBI agents and now I’m launching a new series of books built around a private investigator. Viewed from the outside, these are all action characters. But in real life, these people actually spend long hours waiting, watching, searching, analyzing, hoping for a break or a lead or the one piece of information they need. So writers invent a clock. You need a clock to have a race, right? The tricky part is to make it all appear natural and uncontrived. You don’t want the ticking to be heard, only felt. STAY THIRSTY: Powerful and treacherous. T. JEFFERSON PARKER: As a storyteller, I love it when the powerful and treacherous try to make the weaker and more honest do their dirty work. I never think of the powerful as benevolent, just or virtuous, only selfish and greedy. Is that cynical? Or is it a useful way to view the world? Maybe it’s as simple as David and Goliath. But maybe, power and treachery aren’t simple at all. In The Room of White Fire, they come that close to carrying the day. In some ways, they do carry the day. They lose the battle but they’re still in the war. T. JEFFERSON PARKER: Over half a million people killed and five million fled, in just six years. Think about those numbers. That’s only in Syria and it’s not over. I used to scoff at people who wouldn’t read the news because much of it was bad. Now, sometimes, I join them. Or I’ll start with the sports page, then check my small town weekly for a happy story about scholarship winners or a 4-H Champion lamb. I’ve been writing about desperation, crime, murder, war and terror for a long time now. Aren’t novels for escape? Naw. Sometimes you have to charge right in. T. JEFFERSON PARKER: Once I described a character who “firmly believed in the right to keep and bear secrets.” I like that. I like the idea you can actually have one. Something between you and you. Maybe take it out once in a while, look at it, decide if it’s still worth keeping. We live in a world where secrets are bad form, downright suspicious. And getting more so by the minute. Full disclosure on your favorite media. Endless information, endless exposure, endless confession, endless self. People don’t make the world a better place when they do all that. They make it worse. T. JEFFERSON PARKER: My wife Cat had a grand mal seizure in a jet as it readied for takeoff from Guadalajara. We deplaned and took a taxi to a hospital. By then the seizure was over and Cat was awake and aware but shaky and afraid. The doctor did a CT scan, and when she came in with the results she had a dignified expression. The scan was not conclusive. She told Cat to get an MRI scan done immediately when she got back home. She gave Cat a Bible with a passage underlined, the page marked by one of her business cards.